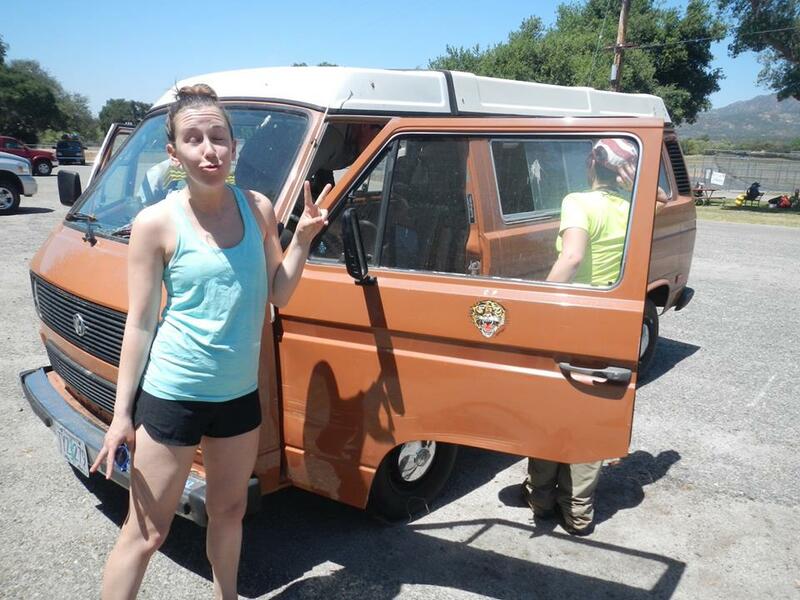 I would like to share openly and honestly about what our intentions are with our new-for-us 1989 Westfalia Vanagon. That’s just the kind of person I am! Full of honest, open, sharing! Sure, it’s fun to have an old camper van to whip out on road trips and backyard parties…but for us, our plans are bigger…more grand. While very temporary, our plans are to live in the van. We’re not just talking epic weekend getaways and extended road-tripping vacations…we mean live in our van on the weekends…AND the weekdays. Don’t panic. We haven’t thrown all caution to the wind and decided to live a full nomadic life of stealth-van living, complete with dumpster diving and dirt bag hygiene habits. We will still camp carefully and (mostly) legally. We will continue to eat food that we have bought with our own hard earned money. We will shower regularly. And yes, we are keeping our 9-to-5 lives exactly how they have been for the last year – Dan finishing his Masters at U-Vic and me Managing a Health Food Store. We haven’t changed…just our home. Have a million questions? Confused? Worried that we’ve lost our minds? Wondering WHY? Leave your comments below, and stay tuned for more info in an upcoming post.